At this time of year the anniversaries come often for Liverpool fans, the games we love to remember and the ones we will never forget for completely different reasons. One date that should resonate for all fans of the team is 29 May. 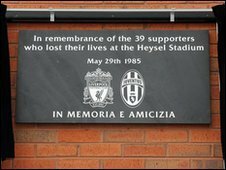 Today is the twenty-fifth anniversary of the Heysel stadium disaster, when 39 people died following the collapse of a wall in the stadium caused by clashes between Liverpool and Juventus supporters. Twenty years later, when the clubs were drawn to play each other in the Champions League, fans on the Kop created a mosaic memorial spelling out the words ‘memoria e amicizia’ – memory and friendship. This year the club unveiled a permanent memorial at Anfield, dedicated to the remembrance of that day and promotion of friendship between the two sets of fans in the future. After 25 years people often think we should move on but it is lovely Liverpool has decided to remember and commemorate in this way, in the name of friendship. I admire the fact Liverpool, and Britain generally, does not stick its head in the sand when wrongs have been done. I am so grateful for that and really respect it. 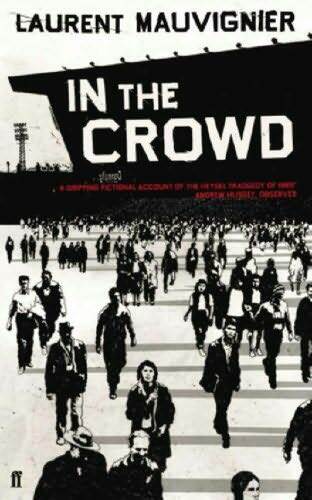 If you would like to know more, I can recommend French novelist Laurent Mauvignier’s ‘In the Crowd’, which I read recently. It begins with some very different people heading to the match in Brussels: two Parisian lads out for a good time; a Belgian couple with their own troubles; a young Liverpool fan abroad for the first time, along with two loved-up Italian newly-weds. Their paths cross on the day and afternoon before the game, as the excitement of getting tickets and travelling to the stadium is overwhelmed by tragedy. The story doesn’t end with the disaster, but continues to show the aftermath and its effects on the different personalities involved. It is a great novel for anyone who, like me, was too young to take in the events of 29 May 1985, but is keen to understand and to remember.